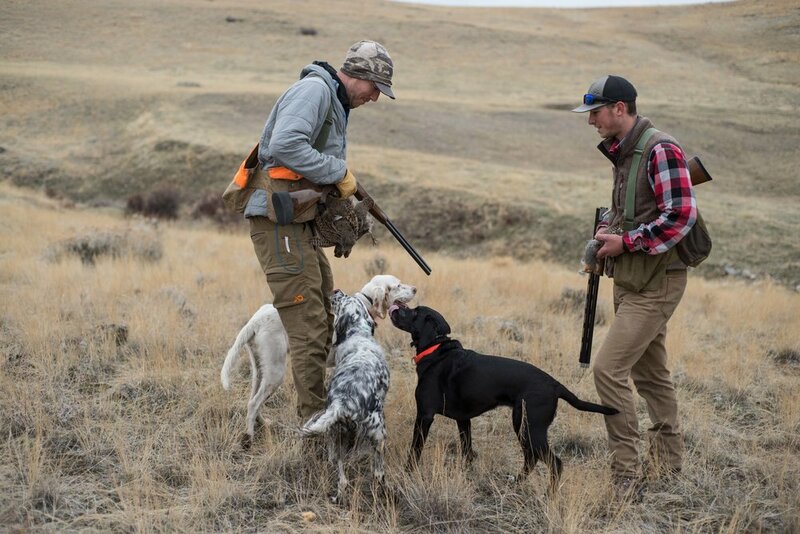 The best Sharp-tailed Grouse, Pheasant, & Hungarian Partridge hunting Montana has to offer. With over 90,000 acres of private land to choose from you are sure to find the perfect piece of cover to fit your needs. 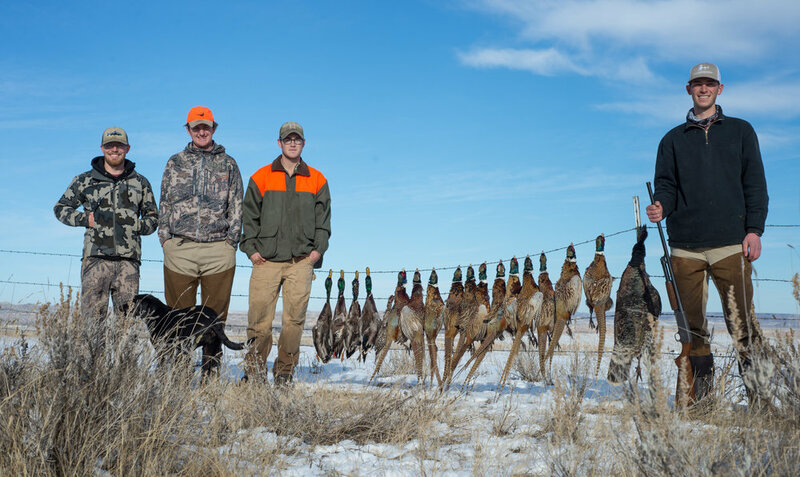 Sharp-tailed Grouse and Pheasant are the primary birds of choice in this area but there are also good opportunities for Hungarian Partridge. Our season typically runs from the first of September through October as well as early December. If you've always dreamed of taking a step back in time to chase prairie birds in Montana we have just the hunt for you! This hunt is all inclusive. Our guests stay in spacious Montana Canvas wall tents on the banks of the Yellowstone River. There is nothing quite like sipping coffee by a crackling wood stove while anticipating the days hunt. Delicious meals are prepared at camp. Overall this a very fun and unique hunt that you are sure to enjoy. A sky full of stars above The Camp at prairie Creek.